There’s something deliciously indulgent about rehearsed readings, especially those connected with the Royal Court that I’ve been able to attend. Frequently held during the working day and peopled with fascinating casts, they offer a different, more relaxed take on theatre but one which can be equally interesting. 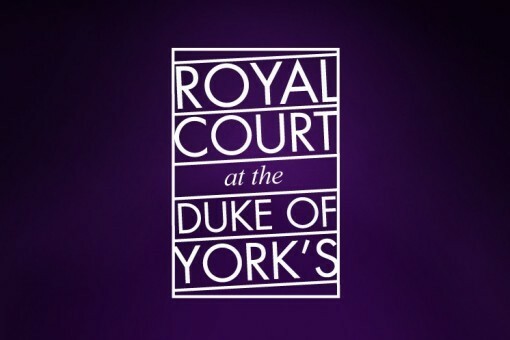 This time round, the Royal Court have put together a programme called Playwrights’ Playwrights, inviting writers who have worked at the Sloane Square venue to direct some of their favourite plays in rehearsed (albeit only for a day) readings at their adopted West End home, the Duke of York’s. First up was Nick Payne, who chose Kenneth Lonergan’s The Starry Messenger, a play which hasn’t been seen in the UK before. Centred on the rather gloomy astronomy lecturer Mark and the way his life suddenly changes after a chance encounter with a young mother after one of his classes, Lonergan’s play looks at a quietly normal group of people and how the ripples of the ensuing affair affects all their lives. Mark’s marriage to Angela has stagnated, his son barely talks to him, his colleagues are succeeding professionally where he is not, but meeting Angela changes something fundamental in him. She has her own trials, a single mother balancing work with training to become a nurse, but also finds the potential for some answers to the larger questions in her life in her connection with Ben. Lonergan has a beautiful way with the minutiae of everyday life, teasing out beautiful comedy from the simplest of conversations and interactions but never hiding the sadness that lies at the heart of so many of these characters. Consequently, I pretty much loved this play. And given how little time the cast had had with the material, there was some truly remarkable work going on on the stage. Daisy Haggard mining exceptional comic and tragic depths as Angela, searching for meaning not only in her life but in the way that other people think; Ben Miles’ Mark struggling with the way his life has unfolded and endlessly struck at the capacity of people to surprise him (or not); Alexis Zegerman and Harry Melling had huge amounts of fun as a pair of hilariously infuriating students; and Richard Bremmer’s moving turn as Norman, an innately good man liberated by the fear of death, was just lovely. Given the quality of the entire cast, one longed for bigger roles for everyone, Monica Dolan and Felix Scott sadly having less time than I would have liked. But there was a great freshness to the delivery, a genuine thrill seeing the actors work so deftly off each other and also from the responses from the audience, sometimes taking them a little unawares. Playwrights’ Playwrights is certainly a great initiative and one which will hopefully offer lots more interesting opportunities across the coming weeks (not least Benedict Cumberbatch in Look Back In Anger next week). I suppose I wouldn’t have minded a bit more introduction from Payne himself, a self-effacing presence keen to allow his actors to start but it was fascinating to hear him talk, however briefly, about his passion for Lonergan and the inspiration he has drawn from his work. (I’m totally going to rewatch You Can Count On Me now, it is such a good film.) The obvious connection here is with Constellations, in the juxtaposition of science and human relationships, but it would have been nice to hear more about someone for whom Payne clearly has great respect, to further add to the uniqueness of the occasion.